We are pumped to share our brand new recordings with you! We had a busy November prepping the tracks and getting into the studio, but we couldn’t be happier with the three new tracks produced for us by Kid Krazy. We recorded three favourites and have plans to get back into the studio this winter…so enjoy these ones and keep in touch as we continue to record! Smells Like Teen Spirit by Nirvana is one of the band’s favourite tunes to perform. Catherine wrote an amazing arrangement that we continue to have fun adapting! Catherine loves The Beatles and this is her newest arrangement of their music for DFM. 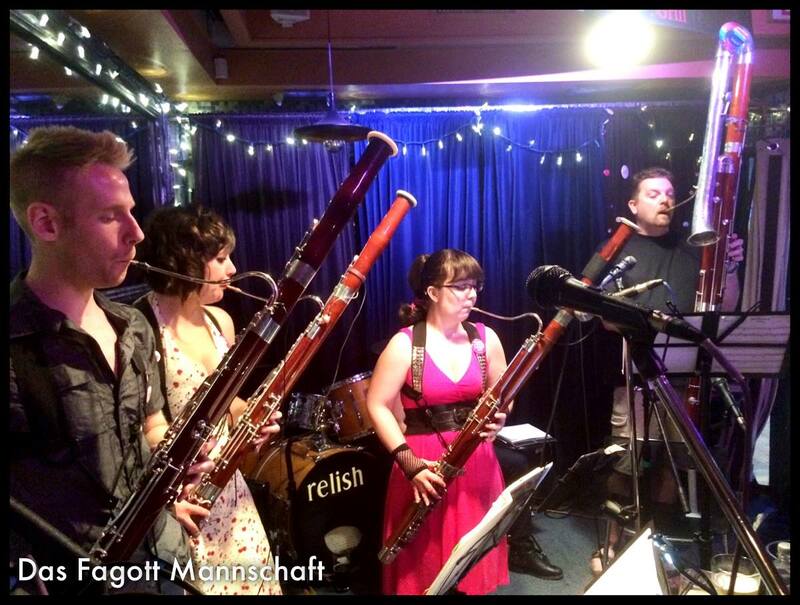 Come Together is such a great and iconic tune…and we were even able to work the mini bassoon into the live performance! Don’t forget to subscribe to our YouTube page for updates and first access to new content! Hey all We had a great recording done at our show at Relish Bar and Grill…and just had to share… Graham kills it with his low As in Sweet Dreams…It is too good!! !